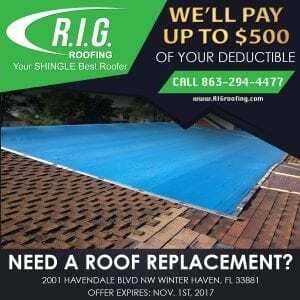 Have extensive damage and in need of a roof replacement?? We will pay up to $500 of your deductible! We are also offering a 12 MONTH NO PAYMENTS / NO INTEREST FINANCING (which will cover you until your insurance money comes in). This entry was posted in Offers and tagged $500 off, deductible, hurricane, no interest financing, no payments, recovery, roof replacement, storm.